Is Whole Foods Sincere About Its Support for Labeling Genetically Modified Foods? Is it possible that Whole Foods wants to ride the GMO labeling popularity wave while it quietly works behind the scenes to prevent Prop 37, or any other GMO labeling law, from passing? After months of pressure from the organic community, including thousands of its customers, the leadership of Whole Foods Market on September 11 endorsed Proposition 37, the California Ballot Initiative to require mandatory labels on genetically engineered foods. But the endorsement came with “reservations” and inaccuracies. It also included the false claim that company policy precludes Whole Foods and its executives from providing much-needed financial support to Prop 37, a campaign that consumers – the very people who have made WFM and its executives wildly profitable – overwhelmingly support. Is it possible that Whole Foods wants to ride the GMO labeling popularity wave while it quietly works behind the scenes to prevent Prop 37, or any other GMO labeling law, from passing? Could it be that a GMO labeling law – especially one like Prop 37 that prohibits the use of the word “natural” on any food containing GMOs – would cut too deeply into the company’s $9.8 billion in sales and almost $246 million in profits? Right up until the company announced its lukewarm endorsement, Vice President of Global Communications and Quality Standards Margaret Wittenberg and other WFM top brass repeatedly stated that they would not endorse Prop 37. CEO John Mackey has reportedly claimed that “the jury is still out” on whether genetically engineered crops and foods are unhealthy for people or the environment. (Mackey also has stated that “no scientific consensus exists” to support global warming or climate change). And while the company website states that WFM is “committed to foods that are fresh, wholesome and safe to eat”, nowhere on its list of unacceptable ingredients is there any mention of GMOs. So why come out with a public endorsement of Prop 37? With national polls showing 90% support for GMO labeling, and voter support for Prop 37 running 67% for and 24% against, it was just common-sense marketing strategy to get behind the initiative. But was it really an endorsement? When it first came out, WFM’s official endorsement contained misleading information that read straight from the opposition’s playbook. It also contained one glaring error. Initially, the company listed among its “reservations” about Prop 37 this incorrect statement: The use of 0.5% of the total weight as the upper limit for processed foods that contain one or more genetically engineered ingredients to be exempted from labeling is inconsistent with the long-established international labeling standard of 0.9%. Not true. The OCA contacted the authors of the official press release and offered this correction, taken straight from the ballot initiative itself: The 0.5% exemption is for one ingredient and a food can have up to ten such ingredients, meaning a 5.0% exemption (until 2019). It took them several days, but WFM public relations team did finally issue a correction. But the correction did little to strengthen the company’s endorsement, which continues to perpetuate the exact same myths that the NO on 37 campaign is now airing in its $35-million TV advertising blitz. The endorsement echoes biotech industry claims that Prop 37 is “too complicated.” That GMO food labeling is best left up to the pro-biotech federal government and the FDA (don’t hold your breath for this), rather than the states. That if passed, Prop 37 will result in greedy trial lawyers suing innocent grocery stores, farmers, and food processors for not labeling or mislabeling GMO foods. None of this is true – as has been repeatedly outlined by the YES on Prop 37 campaign. Also not true? That WFM can’t financially support the most important battle ever waged in the U.S. for consumers’ right to know about GMOs and truthful labeling on so-called “natural” foods. According to its website, company policy precludes donating to political campaigns or ballot initiatives. And yet, in 2009 WFM spent $180,000 lobbying against the Employee Free Choice Act, which would have granted farm workers (the same farm workers who pick the fruits and vegetables sold in WFM stores) and other food workers the right to form unions and enjoy collective bargaining rights with their employers. Company policy also apparently doesn’t preclude WFM’s wealthy executives from donating to political campaigns. CEO John Mackey has donated $2500 so far this year to Mitt Romney’s presidential campaign, and has made many personal donations to past political campaigns – yet not one penny to Prop 37. 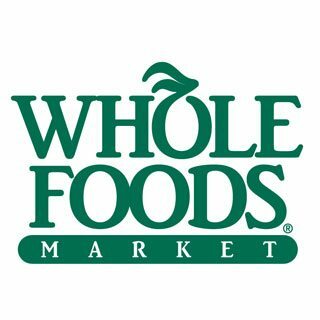 Clearly, the executives and big investors who control WFM don’t want to antagonize millions of their customers, so they’ve issued a token endorsement of Prop 37. But here’s the inconvenient truth. WFM sells billions of dollars of non-organic, so-called “natural” products every year that contain genetically engineered ingredients, including thousands of different processed foods, nutritional supplements, meat, and animal products. Once Prop 37 passes on November 6, WFM, just like every other supermarket chain, will face a major dilemma. Are they willing to demand that their suppliers get GMOs out of the 50,000 items sold in their stores, and give WFM legally binding affidavits to prove this? Is WFM willing to stop marketing non-organic GMO-tainted foods as “natural,” when many of them are not? And the most critical question of all: Is WFM willing to antagonize – and possibly lose – their core customers, consumers who will not want to purchase foods carrying labels that say “produced through genetic engineering”? Most of the workers, and certainly the overwhelming majority of the customers, at Whole Foods support organic foods and mandatory labeling of GMOs. It’s time for the executives and the top brass to stop the lies and obfuscation, to stop the greenwashing, and to atone for the fact that they’ve made hundreds of millions of dollars in profit over the years by selling non-organic, so-called “natural” foods and supplements that contain GMOs. It’s also time for WFM to remove misleading information about Prop 37 from the company website. It’s time for this multi-billion corporation and its wealthy executives to put their money where their mouth is, and make a sizeable donation to the California ballot Initiative to label genetically engineered foods. This is the food fight of our lives, and Whole Foods Market is either with us or against us. Please join the 25,000 organic consumers who have already signed this petition asking WFM to throw real support behind Prop 37. Basically, Whole Foods is an overpriced Fraud. I don’t shop there and wont– no reason to support this two faced business, whose motto is the same as the opposition: spin the message to make profits for the CEOs–pure and simple, unlike the majority of their food. They’re either with us, or against us, or neither. This is a grocery store, not a philosophical cultural epicenter of peace and rightness. I am 100% in favor of prop 37, but am 100% opposed to bullying businesses or people to donate money to a cause if they don’t want to. Can I ask how much the author has donated to prop 37? It is just a label like Made in USA. We can either choose to buy or not. describe an enhanced product. Isn’t that the original intention ? Really?? I’m curious if poor li’l ole mega billion dollar WFM feels “bullied”. When you are in the market place, politics or entertainment, being under scrutiny, adulation and attack are part of the package. If you don’t like the package, don’t play the game. I really don’t think WFM CEO’s are losing sleep over any of this. People are tired of being lied to. If you want to be a grocery store, fine. But if you sell GMO’s disguised as a health food store, you’d better be prepared for some flak. I so agree Jim! This may be just a “grocery” store now…but they started out as a “HEALTH” food store many years ago when they were ‘Wild Oats’…it’s appalling to me that they are willingly hiding their ingredients with misleading labels. Whatever happened to ethics when WFM puts itsself out there as a health driven company! “Once Prop 37 passes on November 6, WFM, just like every other supermarket chain, will face a major dilemma. We are, as of today, down in the polls by 11 percentage points. I want to win this as much as you, but it doesn’t look good when you make over-confident comments prematurely. It ain’t lookin’ good for us, though I’ll keep fighting to the end, as I know you will. You also released the early news in the OCA Newsletter about our being up in the polls 3 to 1, which I thought was a mistake; maybe it made people sit on their laurels during the crucial moments of building steam. YES on 37, but no to hubris and false confidence. Nothing wrong wirh projecting the best outcome! !